In stock. We offer flexible carraige options using Royal Mail, UK Mail & TNT courier. Our deliveries can be arranged from next day to 3 day economic delivery starting from just £2.99. 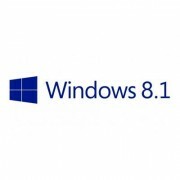 Warning: prices, links and product specifications for Microsoft Windows 8.1 (WN7-00614) are submitted by our listed stores. Please notify us if you find any errors. ShopMania provides the best offers for Microsoft Windows 8.1 (WN7-00614). Find the most secure online stores that deliver in London, Birmingham, Glasgow, Liverpool, Manchester and all over the UK and buy Microsoft Windows 8.1 (WN7-00614) operating system at discount prices. Choose from hundreds of retailers and find the best deals, compare operating systems offers and find the best Microsoft Windows 8.1 (WN7-00614) prices available. Read user comments and product reviews, see our Microsoft Windows 8.1 (WN7-00614) photo gallery, find all its details and features only on ShopMania.